The Big Wobble: Did Solar flare spewing from mega hole in the Sun cause blackout mayhem for 100,000 people in San Francisco? Did Solar flare spewing from mega hole in the Sun cause blackout mayhem for 100,000 people in San Francisco? 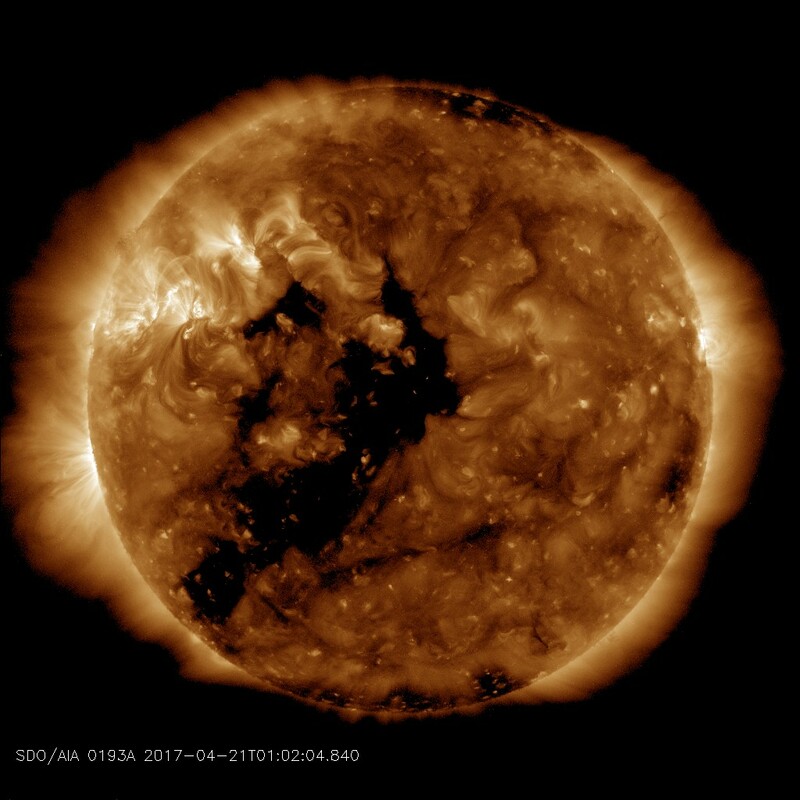 As a giant Coronal Hole has opened up across the entire face of the Sun and is spewing rapid solarwinds of more than 600km/s toward our planet could the giant hole on our Sun be responsible for a San Francisco Power Outage Affecting almost 100,000 Residents? A a massive power outage hit downtown San Francisco Friday morning, leaving thousands without power, closing a BART station, and affecting traffic signals in the area. PG&E Spokeswoman Tamar Sarkissian said about 90,000 PG&E customers were affected. She did not know the cause of the outage or when it would be resolved. This coronal hole is a vast region where the Sun’s magnetic field tears apart, allowing solar wind to escape. According to the US National Oceanic and Atmospheric Administration, this could whip up a “a strong” geomagnetic storm. This is a "coronal hole" (CH) -- a vast region where the sun's magnetic field opens up and allows solar wind to escape. Gaseous material flowing from this coronal hole is expected to reach our planet on April 23rd or 24th and could spark moderately-strong G2-class geomagnetic storms. NOAA forecasters say the odds of a magnetic storm is 75%. We've seen this coronal hole before. On March 27th it lashed Earth's magnetic field with a fast-moving stream that ignited intense auroras around both of Earth's poles. The coronal hole is potent because it is spewing solar wind threaded with "negative polarity" magnetic fields. Such fields do a good job connecting to Earth's magnetosphere and energizing geomagnetic storms.